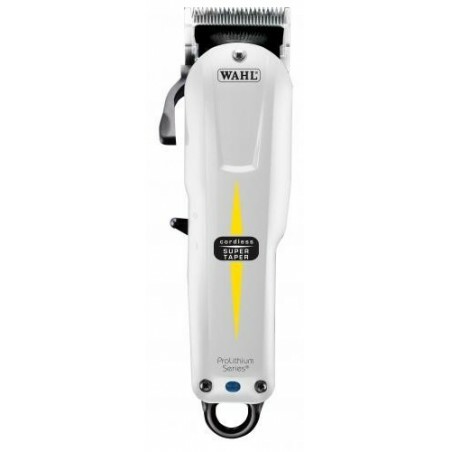 Wahl Super Taper White Cordless Hair Clipper. This Wahl cordless hair trimmer is extremely convenient, light in weight and easy to handle. The Super Taper trimmer performs excellently and provides solid cutting. It is fitted with rustproof, high-precision and chrome-plated blades. It will allow for up to 90 minutes of cutting fully charged. It sports a LED light display that indicates when charging. Powerful, durable and professional. It comes with 4 attachment combs, a flat top comb, oil, cleaning brush, blade guard and instructions. A highly professional clipper. It has a battery operating time of approximately 90 minutes. 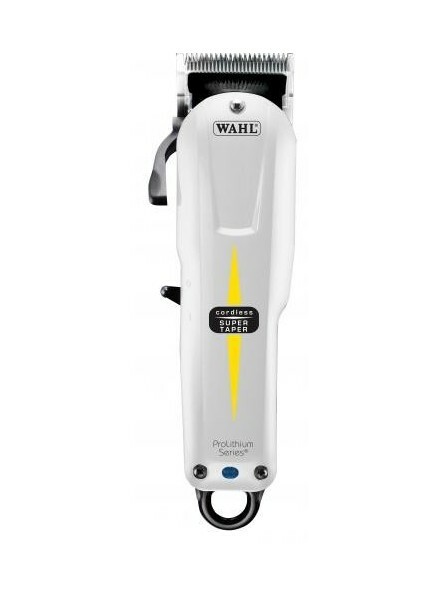 Wahl, created by Leo J. Wahl, is a leader in the professional and home grooming sector. The brand carries forward the tradition of innovation and excellent customer service. This family-owned company has been a leading manufacturer of grooming for almost 100 years.